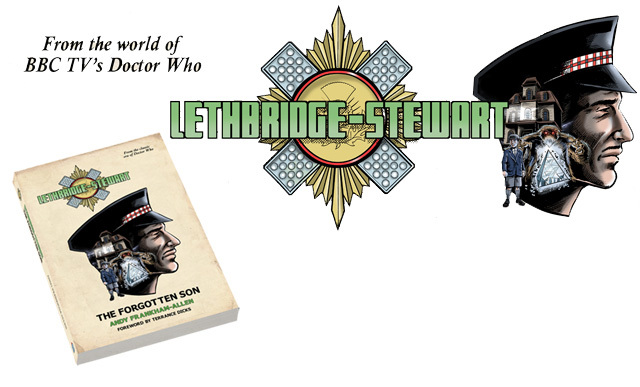 LETHBRIDGE-STEWART: THE FORGOTTEN SON Review | Warped Factor - Words in the Key of Geek. Matthew Kresal fires five rounds rapid. Few Doctor Who characters have had quite as much impact as Alistair Gordon Lethbridge-Stewart. Originally introduced in the 1968 TV story The Web Of Fear, the army officer brought to life by the late Nicholas Courtney enjoyed a long stay on the TV series and has remained a fan favorite throughout the Wilderness Years and even received both mentions in the regenerated TV series and an appearance on spin-off series The Sarah Jane Adventures. It seems appropriate then that, at long last, the Brigadier is getting his own spin-off in the form of a range of novels from UK publisher Candy Jar Books. The first novel in the series, The Forgotten Son, was released back in February of this year. Written by series editor Andy Frankham-Allen, the novel has a lot to do going in. It's not only the debut story of the series but it's also a sequel to The Web Of Fear, a story that has been much talked about by Doctor Who fans even before its re-discovery back in 2013. Even more intriguing, it's set in the rarely explored gap between Web and The Invasion, which introduced UNIT. So tasked with re-introducing Colonel Lethbridge-Stewart and featuring a return engagement with the Great Intelligence, while also filling in a major gap in the show's lore, how well does it do it's job? From its opening pages, it's clear that Frankham-Allen knows his Who. The prologue alone pays both an unexpected homage to one of Doctor Who's most unlikely predecessors and pays tribute to one of the classic comments from the classic series, the latter being more than enough to make any fan smile from ear to ear. 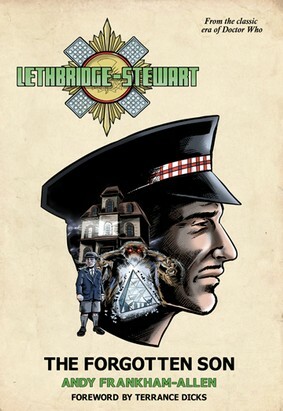 From there the novel, in ways both obvious and subtle, references and pays tribute to several other classic series stories featuring the Lethbridge-Stewart character. Even fans of the 21st century regeneration of Doctor Who will find things to spot, and indeed Frankham-Allen should be applauded for his ability to make sense of the Great Intelligence's tangled web of a time-line (pun fully intended there). The results make for wonderful reading for any fan of the series with an eye for detail. Even better, the novel captures its lead character very well. Using the Web Of Fear as its template, The Forgotten Son launches the series off wonderfully by giving us something of an origin story for this much-loved character by causing him to return to the place of his birth to face off against this alien foe. Along the way we learn much about the man who become the Brigadier as he faces his past while also trying to save the present. Frankham-Allen perfectly captures the voice of the character to the point that, in one's “mind's ear”, you can hear the voice of Nicholas Courtney saying the dialogue and picture him in uniform trying to deal, yet again, with extraordinary events. It's something that gives the novel an authenticity that helps it considerably in accomplishing its task of launching the series. Of course, there's more to the novel than simple continuity references and returning characters. Frankham-Allen's new cast of characters are all interesting, from new members of the military we encounter to the various villagers who end up being drawn into events. There's a familiarity to the characters and a few archetypes present but thankfully they never come across as cardboard by any means. Frankham-Allen's prose style is also well suited to the action/adventure style of the book. its breezy and keeps the reader wanting more while giving enough detail to imagine the scene without getting at all bogged down. The Forgotten Son is a book that harkens in some ways to the Who novels of old while also being perhaps more grown-up at the same time. For fans of literary Doctor Who, The Forgotten Son is a novel well worth reading. It's a wonderful sequel to Web Of Fear, ties into a number of Who stories without being gratuitous, wonderfully captures its lead character in his early days and tells an exciting story to boot. Lethbridge-Stewart is back in action and I for one am eager for more.